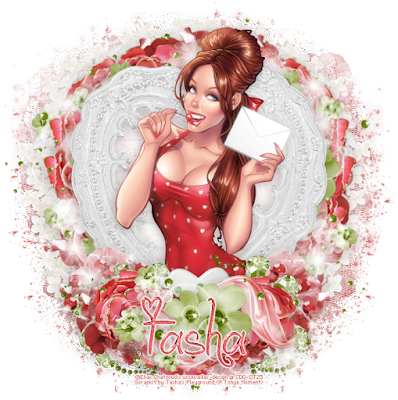 CT Tag for Tasha of Tasha's Playground using her gorgeous new kit she made to match a bonus tube at CDO. 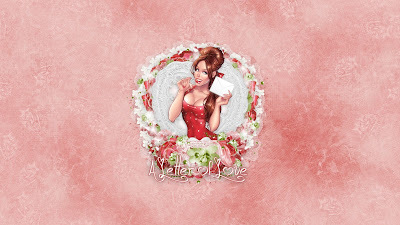 This is such an adorable Valentine's Day type of kit, lots of hearts and sparkles to add a lil bit of shiny note of love into your creations as love is definitely in the air. You can purchase this wonderful kit here at CDO. 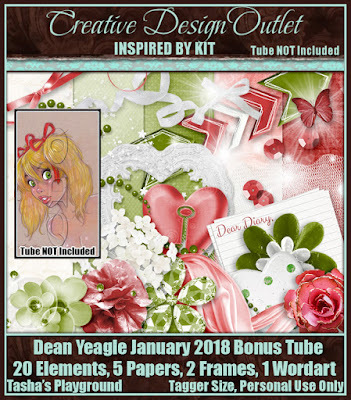 I used with a wonderful tube by Elias Chatzoudis, whose art tubes are available for purchase at CDO here. You can download it here, in size 1920x1080. Please remember this is as-is only, no alterations may be made to it.